Put very simply, a hash function is a measurement whose purpose is to detect very slight changes to data, or to determine whether or not two pieces of data are identical. Hash functions are detective security tools, not protective, Cryptographically useful hashing functions have some specific characteristics. While more secure algorithms have been available for several years, many organizations persist in using weaker functions. The output of any one hash function is always of the same length, regardless of the length of the input string. Stated informally, a cryptographically strong hash is one for which a very slight change in the input causes a drastic change throughout the output, and that means you can't search for input strings producing a given hash value. 1: It is easy to compute the hash value for any given message. 2: It is infeasible to find a message that has a given hash. 3: It is infeasible to modify a message without changing its hash. 4: It is infeasible to find two different messages with the same hash. Kryptography has a long and fascinating history. One criteria for a good hash function is that a single-bit change in the input causes changes in about half of the output bits. That's what we're seeing here. out of the holy city, and from the things which are written in this book. One character out of 4,445,260, that's a 0.0000225% difference. But to be more accurate, the change is only one bit out of 35,562,080 bits, a 0.0000028% difference. Let's see what happens to the hash values for those files. We will calculate the MD5, SHA-1, SHA-2-256, and SHA-2-512 hash values for the two files. 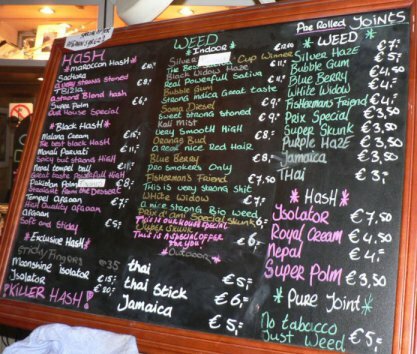 A very different meaning of hash, in a brown cafe in Amsterdam. There is no such thing as the inverse of a hash function! There is no way to start with the hash of an input, and find an input for which you are certain that it was the input. A typical hash function has a huge output space. You would expect to half to try half that many possible inputs before randomly stumbling across something that gave the same hash. But even after you manage to find some input that produces the desired output, it is only one out of a possibly infinite number of possible inputs that produce the same hash! A random collision would be the discovery of any two inputs with equal hashes. A chosen-target collision is more difficult to find. That is the case where input1 or hash(input1) is already specified, and the attacker needs to find input2. That is, it is impractically difficult to find a random collision. That is, it is impractically difficult to find a chosen-target collision. Finding two input strings that have the same MD5 hash. Finding a second input string that has the same MD5 hash as a chosen "target" input string (a chosen-target collision, a much harder problem). In early 2017 Google announced the first practical technique for generating a SHA-1 collision, over 100,000 times faster than a brute-force attack. Use SHA-2-256 or SHA-2-512. Not only are the search spaces enormously larger, but SHA-2 does not have the known weaknesses of MD5 and SHA-1. Further details are available here. That last number is awfully large, with 155 digits. Do hash functions produce all possible outputs? Or might there be some "forbidden patterns"? Do hash functions enforce some form of parity preventing more than some maximum number of bits set to 0 or 1, or preventing sequential runs of identical bits longer than some threshold? Apparently not, although these "interesting" events take more and more brute-force search to discover as they become more and more interesting. See the results of my brute-force search for the details. Note that MD5 is a chained hash function, and this means that if you start with the above two 128-byte files, and append identical sequences to each, the two resulting data files will also have identical MD5 hashes. So, an infinite number of collisions could be based on these. In the summer of 2004 some mathematicians presented a paper showing collision results for MD5 and others. See "Collisions for Hash Functions MD4, MD5, HAVAL-128 and RIPEMD" by Xiaoyun Wang, Dengguo Feng, Xuejia Lai, and Hongbo Yu. Someone else then published a paper on weaknesses in SHA-0, which was a precursor to SHA-1. Actually, SHA-0 was the winning submission for the U.S. government's Secure Hash Algorithm, but the NSA specified a few tweaks for reasons they (of course) did not explain. For this intermediate work, see "Near-Collisions of SHA-0" by Eli Biham and Rafi Chen. Lucks and Daum have generated Postscript files that exploit the attack — the files have the same hash, although they contain contradictory messages! Stevens, Lenstra and de Weger have generated several PDF files with very different contents but identical hashes as part of their general hash work. In December, 2008, researchers reported finding MD5 collisions in one to two days using a system built from 200 Playstation 3's. Since six Certificate Authorities were still using MD5 signing on X.509 digital certificates, that means that with a day or two of computing you could generate forged certificates allowing a rogue system to masquerade as a "secure" server using one of those certificates. They generated an intermediate CA certificate so they could sign their own certificates. That means you would only need to do the computational attack once to generate as many apparently valid certificates as you want. Full details: slides from their presentation and so on. A demonstration of the certificate forgery using an intentionally back-dated and expired forged Equifax certificate. Further discussion from Information Security magazine. US-CERT Vulnerability Note #836068 discusses this. In 2012, Microsoft explained that the authors of the Flame malware used an MD5 collision to forge a Windows code-signing certificate. In October 2015, Marc Stevens, Pierre Karpman, and Thomas Peyrin reported on discovering freestart collisions in SHA-1 (this is a collision of the internal compression function, not all of SHA-1 but effectively a SHA-1 collision). They used a 64-GPU cluster, and estimated the cost of finding SHA-1 collisions to be US$ 75,000–120,000 by renting Amazon EC2 high-performance computing systems for a few months. In February 2017 Google announced the first practical technique for generating a SHA-1 collision based on Marc Stevens' earlier work. It's over 100,000 times faster than a brute-force attack. Bad news: This research shows that the SHA-1 hash function is significantly weaker than we thought! Good news: The numbers are still awfully large in comparison to current computer speeds. We're still talking theoretical rather than practical in most situations with today's hardware. It is time to move away from SHA-1 based designs, new systems should be designed around SHA-2-256 or SHA-2-512 with a plan to plug in replacement functions. Trusted implementations of SHA-2-256 and SHA-2-512 are available as part of the OpenSSL package, both command-line tools and shared libraries. And cryptologists spent several years developing and testing a replacement for SHA-1 and the SHA-2 family. In February 2007 NIST announced a competition to replace the then-current FIPS-180-2, which specified SHA-1, SHA-2-224, SHA-2-256, SHA-2-384, and SHA-2-512. FIPS-180-2 was issued in 2002, so the SHA family did not last as long as might have been expected. The new hash algorithms were selected in a process like that used for AES, the Advanced Encryption Standard, defined by government standard FIPS-140-2. Entries were submitted at the end of October, 2008, and the final selection was announced in October, 2012. You can read about the details of the contest if you're curious. Good news for everyone came out of this. The development of the new hash function and its needed testing led to intense study of the SHA-2 family (SHA-2-224, SHA-2-256, SHA-2-384, SHA-2-512). The weaknesses found in MD5 and SHA-1 were not found in SHA-2. So, developing SHA-3 showed that it wasn't an emergency, SHA-2 still seems to be quite good. But, we didn't know that until it was studied. The Keccak algorithm was chosen as SHA-3. Joan Daemen was on the Keccak development team, he was one of the two Belgian cryptographers behind the Rijndael cipher algorithm that was chosen as the Advanced Encryption Standard or AES. MD1 and MD3 were computationally inefficient, MD2 and MD4 were cryptographically flawed. Based on the Blowfish cipher, used in the bcrypt password-based key derivation function. Designed by Vincent Rijmen, one of the Rijndael/AES developers, and Paulo S.L.M. Barreto. 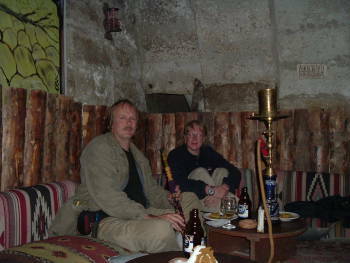 Also visit The Hashing Function Lounge.